My main business and livelihood is Tarot. But, I am also a wedding officiant. I love both businesses, but I have to admit that Tarot takes a higher priority. 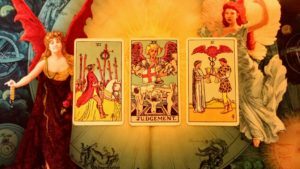 That doesn’t mean that I don’t put my heart and soul into the wedding side of things, just that I intend to spend more of my time occupied with Tarot and all things Tarot-related. I see weddings and ceremony as a lovely compliment to Inner Goddess Tarot. I am currently working on my new website for my officiant enterprise. This is something that I resisted. I didn’t want to split my energy, and the thought of starting a whole new business, I found that daunting. But, I have been enjoying the weddings so much, and would love to do more, so I’m shifting some of my energy in that direction. 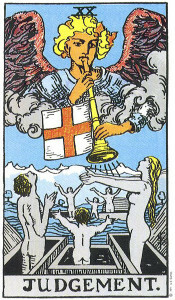 I looked to my Tarot cards for some insight into this issue of balance, of finding equilibrium in my daily work life. My intention is to bring myself into balance when it comes to my two business ventures, and explore how that might impact my life. 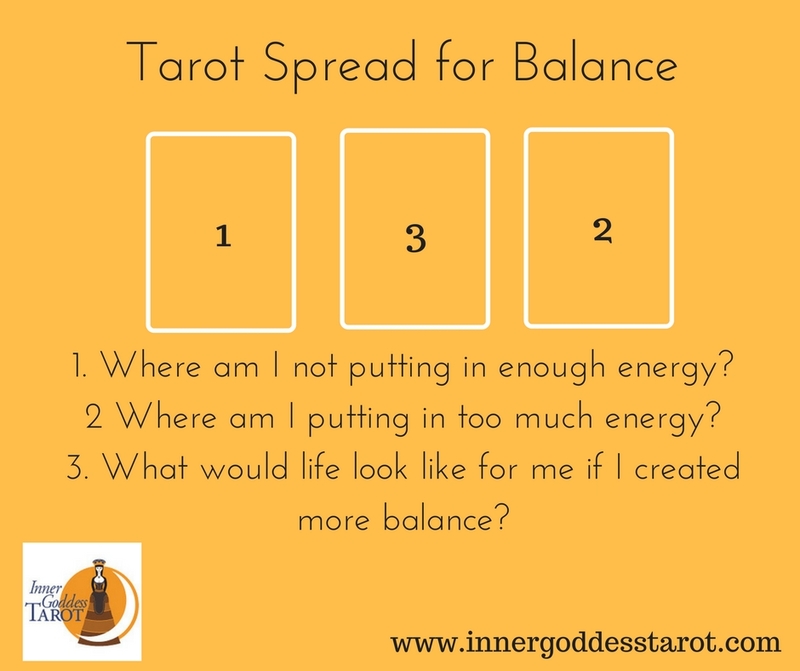 Take a look at that spread…take a breath…what is the first intuitive response that comes to you, especially in light of my situation and question? I had to laugh. 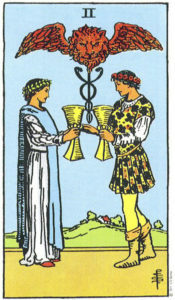 When I saw that Two of Cups in the position of where am I putting too much energy, I saw a wedding ceremony. Am I the red lion officiating? I do take each and every wedding very seriously, I put a lot of emotion and intensity into them. So, is this card telling me that I am putting too much emotional energy into the wedding side of things at this time? That does resonate with me…perhaps I need to focus on the practical side of that vocation, get things in order, and then let it flow. Also, this card is telling me that I am very relationship focused and heart-centred in general and that can perhaps take too much of my energy at times. It would serve me well to shift into the pragmatic once in a while, without losing my emotional connection with those I love and with my clients. So let’s go back to that first card, indicating where I am not putting in enough energy. 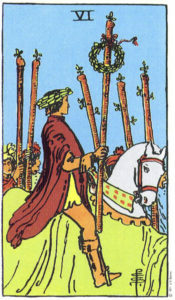 Here we see the Six of Wands, the victory card. The first thing that came to me here was that I am not celebrating my own victories enough, that I should allow myself to get fired up and excited about all that I have achieved. Also, it encourages me to take more of a leadership role in my career and my life, rather than looking to others for guidance or approval. Finally, what would life look like if I achieve the balance I am seeking…how wonderful, the Judgement card. This says to me that I would be free to follow my passion, my calling, to rise up and do what I am meant to do! That’s a pretty exciting card. It may have been nice or less scary to see a practical and secure Pentacle here, but perhaps that lifestyle just isn’t in the cards for me. I think that middle card position is really interesting. If it doesn’t look like what you are hoping or striving for in your life, it may indicate that some kind of adjustment is necessary. It may not be a case of finding balance in how you expend your energy, rather it may be that it is time to completely shift your focus in some aspect of your life.